Shop online for 2 live-resin plastic models at discounts up to 46%. 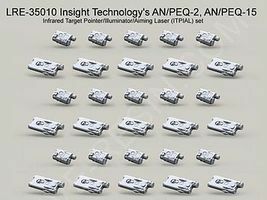 This is the 1/35 Scale Insight Technology AN/PEQ-2 & AN/PEQ-15 Infrared Target Laser (30) From Live Resin. 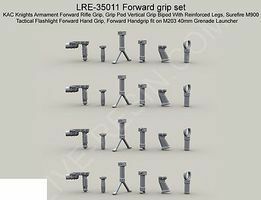 This is the 1/35 Scale Forward Gun Grip Set (4 each of 5 diff) From Live Resin.